Once revered by ancient South American civilizations as the “food of the gods”, chocolate has since become one of most popular food products in the world. Though normally associated with obesity and diabetes, chocolate has slowly garnered more renown for its plethora of health benefits. These health benefits increase when the sugar content is low and cocoa content is high. 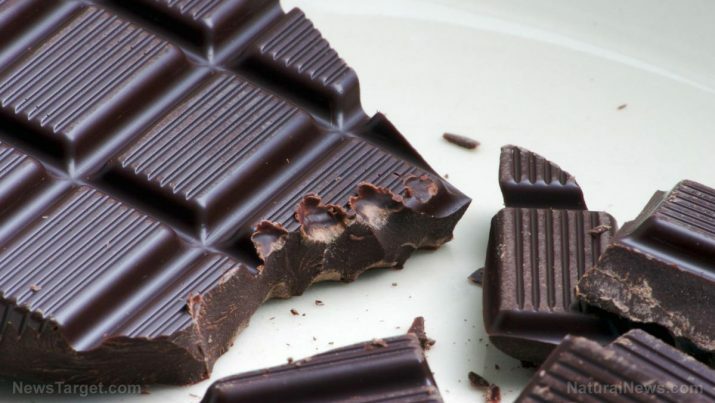 As such, dark chocolate is the healthiest kind of chocolate available, with the 70 to 85 percent variety being the most nutritious version of dark chocolate. The Oxygen Radical Absorbance Capacity (ORAC) scale is used to measure the antioxidant activity of foods. The sheer number of biologically active organic compounds has made dark chocolate one of the higher-scoring foods, topping even blueberries. All the antioxidants work together to negate and remove potentially hazardous molecules from the body, like free radicals. Dark chocolate contains theobromine and caffeine, compounds that act as major endorphin stimulants. Endorphins are neurotransmitters that diminish pain, reduce stress, trigger positive feelings, and boost mood overall. Caffeine and theobromine can also stimulate and improve brain function in the short term. The caffeine content in dark chocolate is small, so it won’t be as powerful as caffeine in keeping people awake. The heart has plenty to benefit from dark chocolate: By relaxing the body, dark chocolate also makes the blood vessels more flexible, decreases oxidative damage to low-density lipoprotein (LDP) cholesterol, and has anti-clotting, blood-thinning properties that improve blood flow and circulation overall. Dark chocolate may contain less sugar than other chocolates, but it can still be full of calories and fat. Individuals who are watching their weight will need to keep track of how much dark chocolate they’ve eaten as chocolate in general is easy to overeat. As such, dark chocolate is best consumed in moderation. The simplest and quickest way to take in dark chocolate is to eat it as is. Melting dark chocolate and then using it as as a dip for other healthy foods like strawberries or pineapples is also easy and convenient. Though like other chocolate varieties, dark chocolate is a versatile food that can be incorporated into almost any dish or drink. As a drink, dark chocolate can be turned into European-style drinking chocolate or form the “cocoa” portion of a banana-cocoa soy smoothie. As a dish, dark chocolate is best in a light snack or dessert, such as a chocolate cake, chocolate cookies, or chocolate bread. There are even recipes all over the Internet for 100-calorie chocolate desserts, so there are few limits to how dark chocolate can be enjoyed. Dark chocolate contains an incredible amount of antioxidants, beating even the famous blueberry. Dark chocolate promotes a healthy heart. Dark chocolate is best consumed in moderation. Dark chocolate is high in copper, which may help ward off cardiovascular disease.